Paper template to use as a guide to help cut out the shape for an original Land Rover sun roof to be used on original roof headlining. NOTE: We do not accept any liability if the hole is cut incorrectly. 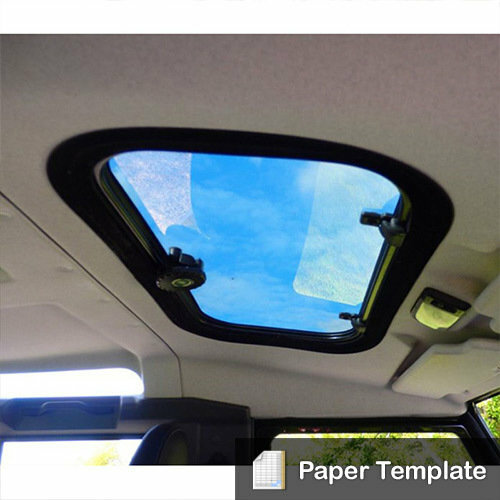 We recommend that you check the measurements on the template against the sun roof before you start cutting.